Double Kayak for hire Fibreglass. 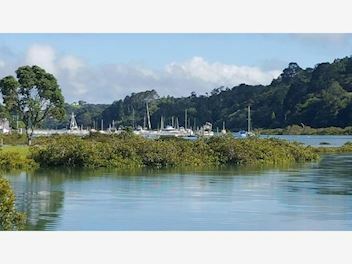 You can hire our kayak for cruising or fishing around Weiti River / Stillwater Boat Club area. x2 paddles Self-guided only Cash or bank deposit. Sorry, no Credit Cards or EFTPOS Please call to hire/check availability. I have read, understand, and agree to abide by the following rules: Lifejacket must be worn at all times. All children must be in direct supervision of an adult at all times. I do not land on private properties. If I stop and get out of the kayak I will place all equipment in a safe place. I protect the New Zealand environment and wildlife by not leaving litter on river banks and beaches. I pay attention to avoid collisions with other users of the water i.e. motorboats, jet ski, water ski, kayaks, swimmers. I pay attention to other dangerous situations such as strong currents, tide, flood, poor weather, waves, unstable cliffs. No alcohol or drugs before or during your kayak rental. I am responsible for the return of this equipment in the same state in which I received it. I agree to pay in full for any repairs or replacement if the equipment is damaged or lost. The leaser is not responsible for any injury, loss, claim, damage, or any direct, incidental or consequential damages of any kind.